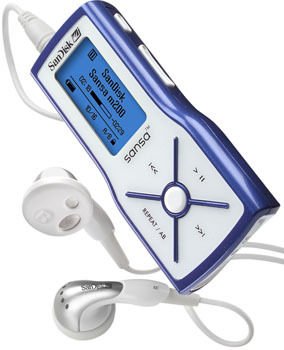 Napster UK is giving away free MP3 players to all new subscribers of its portable music service. Anyone taking out a three-month Napster to Go subscription from 14 September will receive a 512MB Sandisk Sansa m230 that stores up to 240 tracks at a time. Napster's portable music service allows people to fill an MP3 player with unlimited tracks from a library of two million songs for £14.95 a month. Music fans can get a free MP3 player by signing up at Napster. Earlier this year, audiovisual media analyst Screen Digest said the majority of MP3 players sold in the UK are flash-based devices.